The tying of the nuptial knot in traditional Bengali style entails a series of elaborate and colorful rituals, which are not only enjoyable but are of great significance in conjugal life. The blowing of the conch shell and ululation by the women gathered at the wedding venue are most characteristic of a Bengali marriage. Shehnai recital played by live musicians or played over a music system adds to this symphony. The purpose is to draw the attention of all and sundry to the wedding and to summon the invitees; it also serves as a kind of social declaration from the family to the rest of the society. Ashirbaad: On an auspicious day the elders of the groom's side go to bless the bride (as do the elders of the bride's side to the groom) by sprinkling husked rice and trefoil on their heads and giving them gold ornaments. This represents unconditional acceptance of the boy and the girl by both sides. Aai Budo Bhaat: A bachelorette party for the bride before the wedding day is thrown by relatives or friends. It signifies their approval, as well, and also encourages community feeling. Holud Kota: A ceremony in which five or seven married women of the household grind turmeric with mortar and pestle and anoint the bride with turmeric paste. This brightens up the bride's complexion and makes her skin glow. Dodhi Mongol: At dawn on the day of marriage seven married ladies adorn the bride's hands with the traditional bangles Shakha and Paula—one pair of red and one pair of white bangles—and feed her a meal of curd and rice, the only meal for the day. Bor Jatri: The members of the groom's house, as well as his friends, dress in their best attire and journey to the bride's house where the wedding takes place. Bor Boron: When the bor jatri party reaches the bride's home, usually the mother of the bride, along with other members, come out to welcome the groom and his family by showing the holy earthen lamp, sprinkling trefoil, and placing husked rice on a bamboo winnow (kula). Then they are served sweets and drinks. 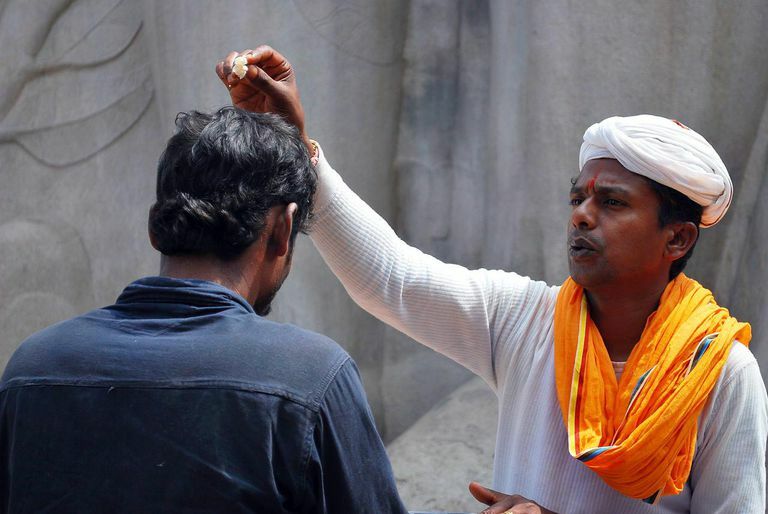 Potto Bastra: After the groom is seated at the chadnatolla (wedding altar and canopy)—the sanctum sanctorum where only the groom, bride, and the priest takes their place—the groom is offered new clothes by the person who is to do the sampradaan. This is a gift to the boy from the girl's side. Saat Paak: The bride, usually seated on a low wooden stool called a pidi, is lifted by her brothers and is carried around the groom in seven complete circles. Symbolically, this winds them up securely to one another. Mala Badal: After the circles are completed, the bride and the groom, still sitting high on the piri, exchange garlands of fragrant flowers. This is the first step by which they accept one another. Subho Drishti: After garlanding one another, the bride and the groom are made to look directly at each other as assembled invitees watch. This exchange of loving glance initiates them in an official union to society. Sampradan: The bride then takes her place at the chadnatolla, where an elderly male member of the bride's family hands her over to the groom, and the couple's hands are bound by the sacred thread amidst the recital of Vedic chants and are placed on the mangal ghot—a brass pitcher filled with water that is covered with mango leaves attached to one twig and a green coconut placed on it. Yagna: The bride and groom sit in front of the sacred fire and chant mantras, repeating after the priest. Agni, the fire god is made the divine witness to the marriage. Saat Paak: Seven circular rounds are taken by the couple around the fire, thereby solemnizing the occasion. Anjali: An offering to the fire is made. The bride's brother puts puffed rice (khoi) in the hands of the bride, and the groom, standing close behind her, reaches around to hold her hands and extend their arms forward. They then pour the offering into the fire together. Sindoor Daan and Ghomta: Once again seated at their respective places in chadnatolla, the groom applies sindoor, or vermilion (a symbol of marriage worn by Hindu women thereafter), on the bride's hair-part. The bride then covers her head with a new sari offered by the groom as ghomta, or veil. Bidaay: This is a farewell—a mixed moment of joy and sorrow as the bride is bid adieu with the blessings of her parents and relatives to start a new life with her husband. 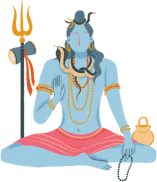 Kaal Ratri: After the couple reaches the groom's house and the initial welcome ceremony is over, they are separated for the night, probably to get a refreshing sleep and prepare for the next day's final wedding ceremony. Bou Bhaat and Bodhu Boron: The girl cooks and serves all the members of her husband's family. A banquet is held to treat the guests, who lavish gifts on the new bride. Phool Shojja: The couple is adorned with flowers and is left together alone in their room to enjoy conjugal bliss on a bed laid with flowers.